Anthony Albanese MP, the Federal Member for Grayndler and a long-standing Newtown Jets supporter, meets with several of his constituents on the hill at Henson Park on Saturday, 28th July. 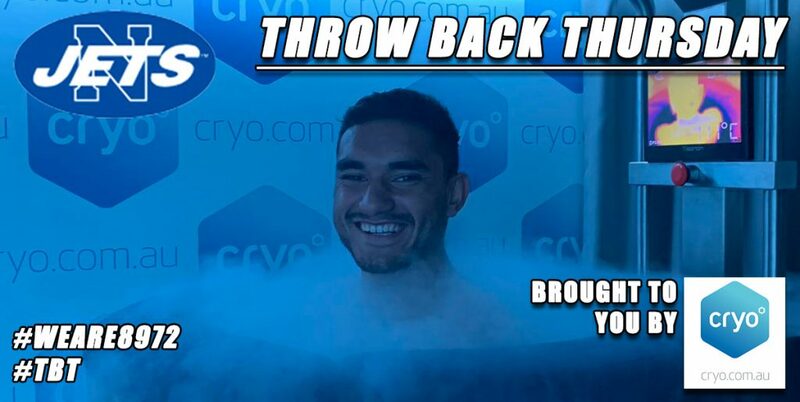 Photo: Supplied courtesy of the NSW Rugby League. 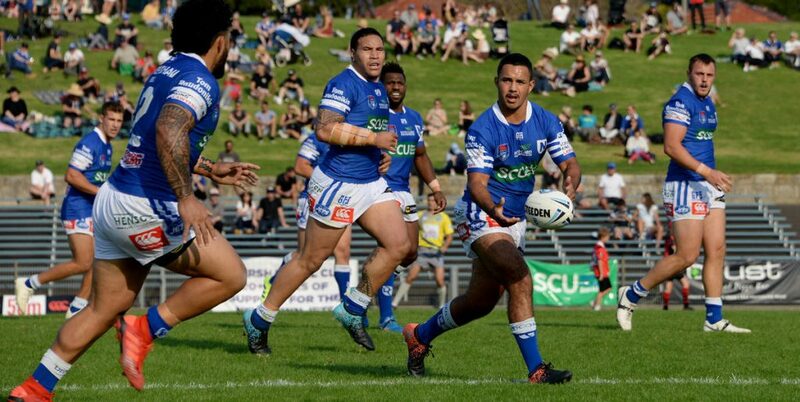 This article was published in the September 2018 edition of the UK rugby league magazine Forty20: The Newtown Jets prove that inner-city community festivals and rugby league can be good partners. 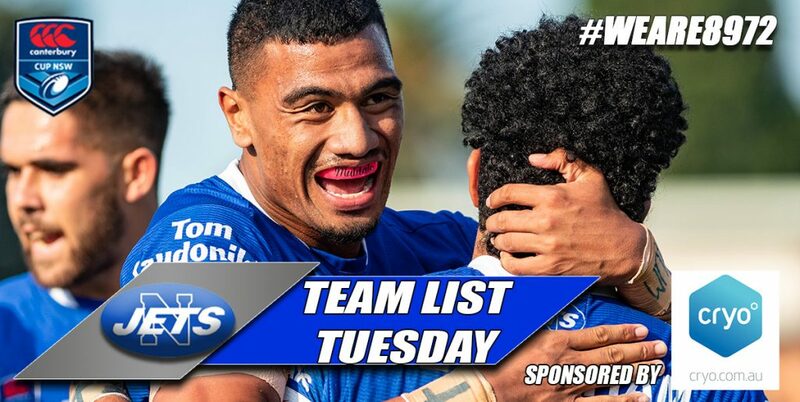 The Newtown Jets rugby league club plays in the NSW Rugby League (NSWRL) Intrust Super Premiership (ISP) competition, which is a second-tier feeder competition to the National Rugby League (NRL). The Jets have played at this level since 2000, and in the intervening years have been partnered with the Auckland Warriors, Cronulla Sharks and Sydney Roosters. The Newtown Jets were in fact the first to form a partnership between an ISP club and an NRL club. The Jets had played in the NSWRL first grade competition from 1908 to 1983, prior to being suspended because of protracted financial difficulties. Unlike most of their opposition clubs in the ISP competition, the Jets don’t have their own licensed club and have sought to pay their way in rugby league by a variety of ingenious stratagems. In mid-2015 the club was approached by a music and entertainment promotions company, the Music & Booze Co, with an intriguing proposition. The plan was to combine one of the Jets home games at Henson Park with a full-on community festival that featured marquees showcasing boutique breweries and a diverse range of food outlets, as well as various children’s entertainment choices. The Jets home ground, Henson Park, is located in Marrickville in inner-western Sydney. In recent years this area has become a focal point for a wide range of artistic industries and creative pursuits, such as music studios, indie film studios, start-up companies, innovative small business clusters, art galleries, performance spaces, small bars, coffee houses and ethnic restaurants that have all thrived in the new economy. The Jets have been successful in recent years in attracting a substantial following from a population base that had not tended to follow rugby league, and certainly not the NRL. And of course Newtown’s older support base from the pre-1984 club were all getting older and probably didn’t live in inner-western Sydney anymore. Another special aspect of the Newtown club is that several current Board members are tertiary-educated, Generation X and Y people who are more attuned to the diverse consumer tastes, leisure choices and all-round quirkiness of the greatly-changed inner-western Sydney population. The younger Board members certainly had no difficulty in working cooperatively with their counterparts in the Music & Booze Co. The inaugural Beer, Footy & Food Festival (the event’s unlikely official title) took place on 20th July 2016, with Newtown hosting the high-flying Penrith Panthers. There had been a seemingly endless array of NSW government and local government bureaucratic obstacles to get over, but finally the very first of these unique community events took place on a crisp winter’s day bathed in glorious sunshine. 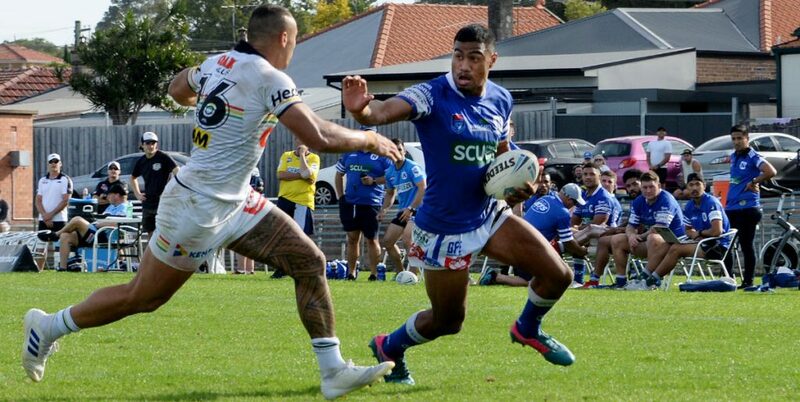 A crowd of around 4,500 attended (a NSW Police estimate), with the Newtown Jets turning on a grandstand finish as Samoan international halfback Fa’amanu Brown scored with two minutes to spare, enabling Newtown to win 12-10. While the estimated crowd of 4,500 was well below NRL levels, it represented more than the combined annual home-game attendances of most of Newtown’s opposition clubs. By contrast, Newtown had worked very hard over the past 20 years to boost home game attendances in order to raise badly-needed revenue. 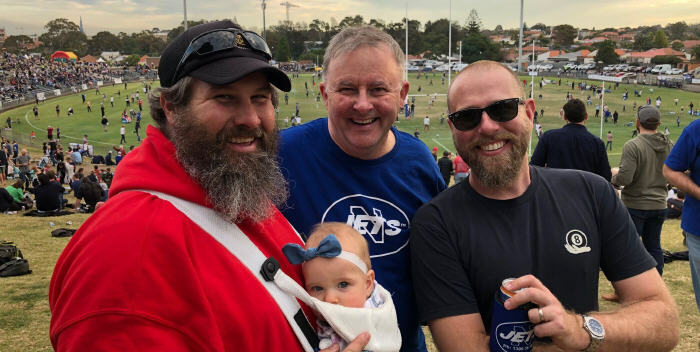 The Jets had drawn crowds of around 3,000 to special events like their annual reunion day and to derby games against old opponents like the North Sydney Bears. Other home games at Henson would be likely to attract crowds of around 1,000 to 2,000. The Music & Booze Co impresarios were delighted with the crowd, and it was a good pay-day for the promoters and the Jets who split the total revenue. It was also a thoroughly satisfactory outcome for the 26 purveyors of fine ales, wines and food. The long line of marquees that stretched out along the top of the iconic Henson Park hill made for some excellent photographic opportunities. The 2017 Beer, Footy & Food Festival was again fortunate with fine weather and an even bigger take-up of marquee bookings. Newtown’s opponents on the day, the top of the table New Zealand Warriors, were rather astonished at the size of the Henson Park crowd. On the previous Saturday in the Warriors’ stand-alone ISP match against Canterbury Bulldogs at Belmore Oval, there had been barely 100 people in attendance. The second of these festivals drew in excess of 6,000 people, and had developed into an event that was really starting to capture the attention of the Sydney sporting media and of senior rugby league officials. Jets CEO Stu McCarthy, an Economics graduate from Sydney University who had worked for years in music production and event management, puts the success of the Festival down to a combination of several factors: The timing and audacity of the event; the suitability of Henson Park as a venue; plus the unlikely fusion of the craft beer drinking, fine wine tasting and food consumption along with a high standard game of rugby league football. A sizable proportion of the crowd may very well have been attending their first live rugby league match, but they seemed to be willing to adopt the Newtown Jets as their own rugby league team with considerable alacrity. It needs to be noted that Henson Park has large grassy slopes perfectly suited for the physical requirements of the Festival. The ground had been a large quarry up until 1934, and its redevelopment had been a Depression-era employment scheme prior to being opened as a sports arena in 1936. There was renewed organisational activity in the lead-up to the 2018 Festival, along with consternation about the likelihood of heavy rain as the days counted down to Saturday, 28th July. Mercifully fine weather prevailed on the day itself, with the Jets hosting the competition front-runners Penrith Panthers. There were even more marquee bookings (more than 40 in total), along with jumping castles, pass the football competitions, face-painting, balloons, and a petting zoo for the kids. This year’s crowd was estimated at 7,300, with the sports media taking particular interest as to how a second-tier rugby league club could turn on such a successful fusion of part community festival and full-on ISP rugby league home game occasion. On the football side of things, Newtown took the Panthers all the way, losing out narrowly 28-24. Panthers CEO Phil Gould (a former Newtown Jets player himself) was impressed with his old club’s entrepreneurship and determination to survive, and said he would not be surprised if Newtown and Penrith faced off in the 2018 ISP Grand Final. Local Federal MP Anthony Albanese attended the 2018 Festival and met a great many of his constituents on the packed Henson Park hill. The popular “Albo” later made an official Member’s Statement in the House of Representatives in Canberra on the 15th August. In this address to the Parliament, he praised the Newtown club for jointly-staging the Festival and providing such a landmark community entertainment event. As he said, “we’re all equal in celebrating that sense of community that comes from sport and the special sense of identity and bringing together of the community that comes from a local football club like the Newtown Jets”. 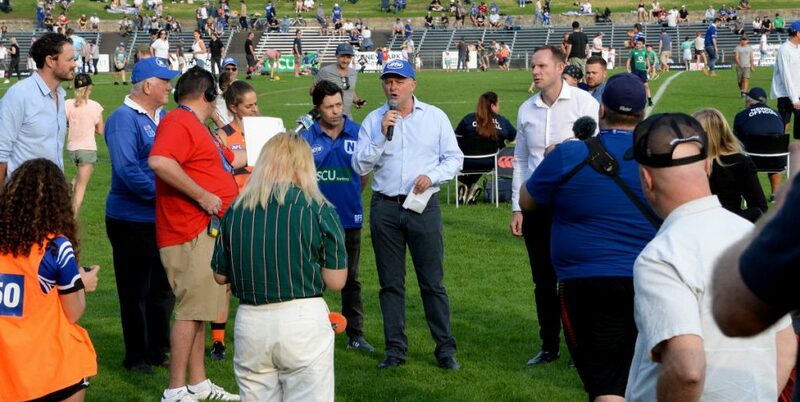 The Beer, Footy & Food Festival is one of several fund-raising strategies of the Newtown RLFC. As this old club celebrates its 110th year in rugby league football in 2018, it continues to look to the future and for new ways of engaging with the local community in order to remain a competitive force in rugby league. 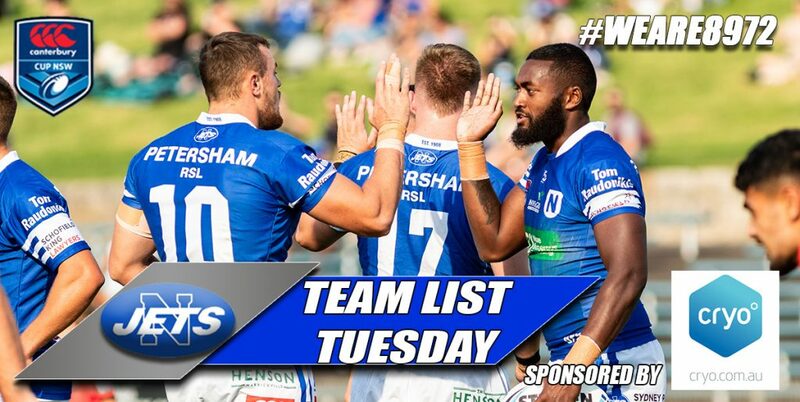 (At the time of writing this article, the Newtown Jets were competing in the NSW Rugby League Intrust Super Premiership semi-finals). Glen “Bumper” Dwyer (submitted on 5th September 2018).